Sister Maria Fe Lible testifying in the pulpit during a Friday overnight worship service of JMCIM at Amoranto Stadium, Q. C.
Sis. Maria Fe had big dreams in life. Having had a hard life growing up, she dreamed of bettering her life by working abroad. She got a job in Bangkok, Thailand and she truly believed this was her ticket to a better, more prosperous life, a fulfilment of her dreams. But after a year of working there, she got into a strife with her boss driving her suddenly out-of-job, no money, and out in the streets of Bangkok. She didn’t want to go back home to the Philippines for that would mean an end to her dreams. And even if she wanted to, she didn’t have money to buy a plane ticket. So, she wandered in a foreign land, hoping she would find work. She slept in bus terminals and other public places where she could be safe. When she could no longer endure her hard life there, she cried and prayed to God to help her. She got help and she was able to fly back home to the Philippines. But when she arrived home and just starting to recover from her horrendous experience in Thailand and nursing her shattered dreams, she developed a hard mass in her throat. This made her life miserable. It was hard for her to swallow and it brought her nasty headaches everyday. She went to different doctors, trying to find cure for her disease, but they all told her she needed a surgery to save her. She also went to different “quack” doctors, and they had only one “diagnosis”: Sis. Maria Fe was a victim of witchcraft. They warned her never to undergo surgery for this wasn’t the remedy for witchcraft. They adamantly emphasized to her that surgery might cost her her life. With an illness and dreams that would never be realized, Sis. Maria Fe felt like she would lose her mind. She cried out to God in anguish. By the wonderful workings of God, she met a sister from JESUS MIRACLE CRUSADE INTERNATIONAL MINISTRY who invited her to the worship service. Sis. Maria Fe willingly went with her. She wanted rest from all her suffering. On the day she attended the worship service, she was suffering from an excruciating headache. But as soon as she received the Lord Jesus Christ and was baprized in water in His name, she was instantly relieved from her headache. She went home with the stirrings of new hope in her heart and soul. She felt happy for the first time in years. But the cyst in her throat did not get healed at once. She was persecuted on all sides for not wanting to undergo surgery, until her fledgling faith succumbed to outside pressure. She underwent surgery to remove the cyst lodged in her throat. After surgery, she lost her voice. She whispered hoarsely when she spoke. The doctor told her she might regain her voice in six months but that wasn’t a guarantee. She went home without a voice and to add to her misery, the cyst that was removed from her throat was multiplied. She developed more cysts, up to twenty in all. This made her desperate. It was true what the quack doctors told her: surgery wouldn’t solve her problem for her disease was a product of witchcraft. 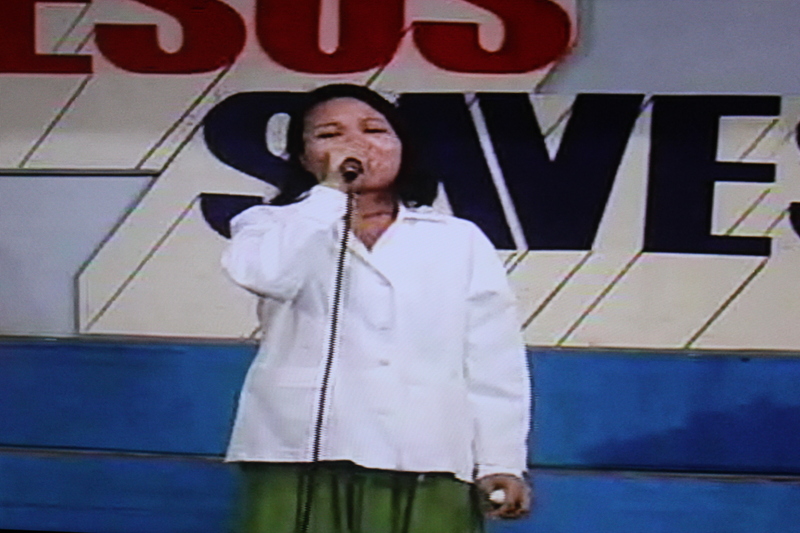 She went back to the worship service of JMCIM and there she surrendered her life and let go of all her woes. She also sought to be prayed over and laid hands on by the beloved Hon. Pastor Wilde Almeda. After about a week, she regained her voice, and all her cysts in her neck disappeared one by one. When Sis. Maria Fe testifies in the pulpit, one sees the marks and scars on her neck where the cysts had been. When she testifies, she shouts at the top of her voice, relishing the strength and healing the Lord has blessed her with. Sis. Maria Fe continues to serve the Lord fervently to this day. Halleluiah! To God be the glory! Subscribe to Minister of Mercy and Never Miss a Post!